Sue Miller is Reader in Music at Leeds Beckett University and also bandleader of Charanga del Norte. Sue obtained a PhD in Cuban flute improvisation in charanga performance at the University of Leeds in 2011 having studied previously at the Universities of Leeds and York. After six years teaching on the BA in Popular and World Music at Leeds University Sue became Senior Lecturer in Music and Course leader for the BA in Popular Music at Anglia Ruskin University, Cambridge in 2012 before taking up a senior lecturing post in music at Leeds Beckett University in 2015 teaching on the BA in Performance and Production and the MA in Popular Music and Culture. A qualified teacher (PGCE) since 1990, Sue is also a Fellow of the Higher Education Academy (FHEA). 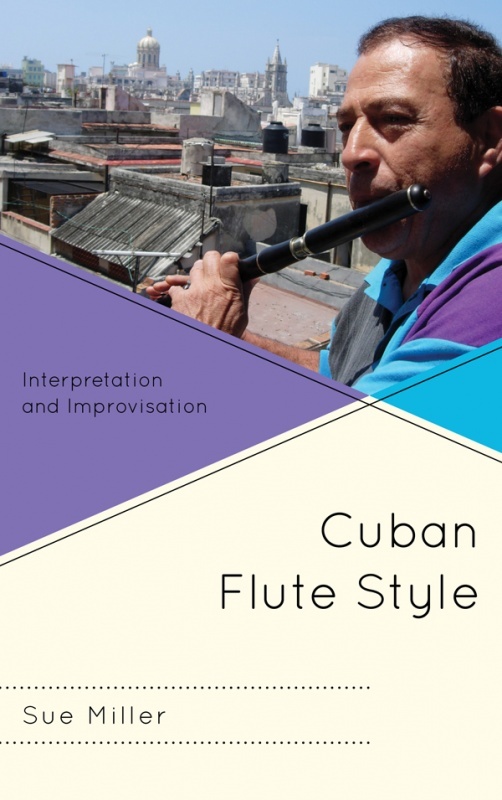 Specialising in improvisation, Cuban music and music analysis, Sue’s first book Cuban Flute Style: Interpretation and Improvisation was published by Scarecrow Press in 2014. Her forthcoming book for the University Press of Mississippi looks at Latin music in New York. PhD supervisions are undertaken within the fields of music performance, (ethno)musicology, music analysis and popular music studies. Brish Flute Society Journal PAN 2014. 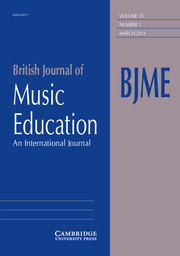 Other publications include articles written on popular music education for Bloomsbury Press (2015), on Latin music performance (Journal of European Popular Culture) and articles written for the British Flute Society journal on the Cuban charanga and the Cuban flute style of improvisation, including interviews with veteran Cuban flute players such as Richard Egües, Polo Tamayo and Melquiades Fundora (December 2000, 2001, March 2003 and June 2008 editions). Her next book Improvising Sabor: Afro-Cuban Dance Music in New York is due for publication in 2018 by the University Press of Mississippi. Sue has also reviewed books and CDs for the journals Cultural Politics (July 2007) and The World of Music (2006). Articles on ‘Cuban Son’ and ‘Música Guajira’ were published by Bloomsbury Press in 2014 in The Continuum Encyclopedia of Popular Music of the World (EPMOW): Part 3 Genres (Caribbean and Latin American genres). Previously Sue Miller completed a Postgraduate Certificate in Jazz, Contemporary and Popular Music at Leeds College of Music in 1994 where she studied classical flute with Lis Parry, jazz improvisation with Bill Kinghorn, Indian music with Dharambir Singh and jazz piano with Nikki Iles. Inspired by Orquesta Aragón’s flute player Richard Egües, Sue set up the UK’s only full charanga orquesta ‘Charanga del Norte’ in 1998 and has performed with the band across the UK, including several Arts Council of England UK tours and performances at Manchester’s Bridgewater Hall, London’s Barbican Centre, Paradise Gardens and the Lakes Alive Festival. In April 2000 and 2001 Sue went to Cuba to study with her idol, Richard Egües in Havana and in 2006, 2007 and 2009 returned to Havana to further her research and to perform with veteran charanga musicians there. Currently researching Cuban music in the USA Sue has guested with Charanga Soleil, Charansalsa and Orquesta Broadway in New York. Charanga del Norte continue to perform and recent performances include The Big Weekend in Cambridge, Seven Arts, Leeds and the Cambridge Jazz Festival. An experienced professional arranger Sue has written large-scale arrangements and compositions for Charanga del Norte and for the Cuban Music Big Band line-up. Over 19 years experience directing Charanga del Norte and Cuban Music Big Bands. Translation from French and Spanish to English on Cuban music related topics (MA in Applied Translation completed at Leeds University in 2003). Cuban music modules and lectures delivered to suit requirements with the option of including a Charanga del Norte performance and/or student performances following a series of workshops. Available for radio and tv documentaries and multimedia projects. Sue has written arrangements for Charanga, Son and Cuban music big band line-ups covering a variety of styles including danzón, son, mambo, guajira, chachachá, pachanga, bugalu and big band salsa. For her research Sue has transcribed and annotated full scores and solos which are featured in her PhD on creative process in improvisation (2010), her first monograph Cuban flute Style: Interpretation and Improvisation (Scarecrow Press 2014) and her second book Improvising Sabor: Afro-Cuban Dance Music in New York (University Press of Mississippi forthcoming 2019/2020).